A recall has been issued by Health Canada for certain bottles of skin cream after the product was found to contain mould. The recall affects 16 oz. 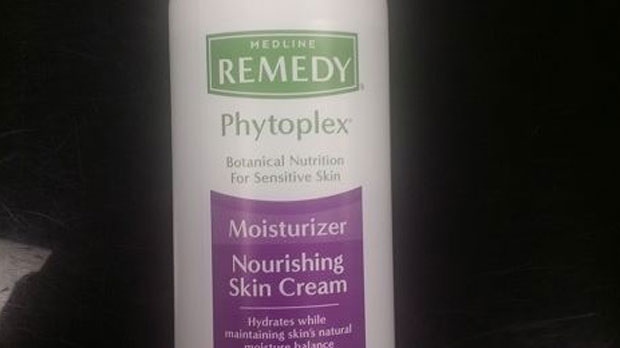 bottles of Remedy Phytoplex Nourishing Skin Cream. The products are found in white packaging and can be identified by their lot numbers on the bottom of the bottle. Health Canada said the recall is due to the presence of certain species of mould in the product and may pose a risk to people with weakened immune systems. As of Feb. 1, no incidents or infections caused by the product in Canada have been reported to the company. Consumers are advised to stop using the product immediately and return the product to Medline Canada. Further details on the affected products are available on the Health Canada website.